Family Pictures Grand Rapids MI. We are a family photographer in Grand Rapids MI offering outstanding family portraits. We can accommodate small groups in our home studio or larger groups on location at your home in Rockford, Ada, Lowell, Caledonia or anywhere you’d like. Locations could be anywhere from your cottage to your living room. Our style is timeless, both contemporary and traditional, and will last the ages. What makes a family portrait so important? 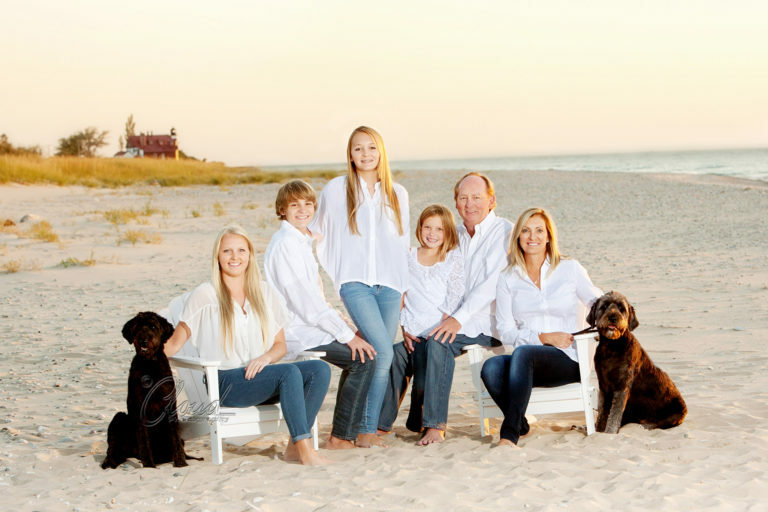 As we always say, “the family that’s photographed together, stays together…forever.” As a truly professional portrait photographer, I take the responsibility of creating a family portrait for our clients very seriously. I know, that this may be the very last time a family will ever be together for a moment like this. We hear it all the time. “I wished we would have had the family photographed together like you suggested but now it’s too late because ______ happened”. Ugh! I absolutely hate hearing that. That’s some heavy thought. I’ll get off my soapbox now but let me explain just one more thing if I can indulge in a little more of your time. Most people are totally unaware of the importance of displaying a family portrait in the home when it comes to your children. (BTW, your friends and neighbors are going to wish THEY had a Cloud portrait on their wall). Psychologists tell us that displaying a family portrait in the home promotes a sense of security and well being for children. It makes them feel important, boosts their self esteem, and gives an assurance that, “I’m loved by these people and I belong here.” It’s another reason why I take what I do so seriously. 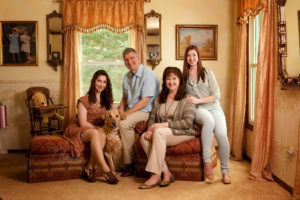 If you doubt what I’m telling you, Google ‘psychology of a family portrait’. I found it to be very interesting. You may notice that I’ve been chatting about the importance of displaying a fam ily picture in your home. You may be thinking, “Why not just have them on my phone?” Well, consider this. 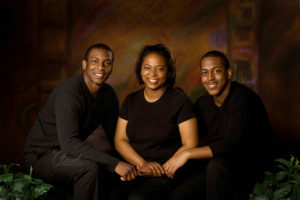 Do you feel that your kids will ever come to you and say, “hey Mom, will you show me the family portrait again please.” A printed and displayed portrait is something real. You can touch it, clearly see everyone (without having to zoom in on it like you would have to with your phone), and you can take it all in with your eyes and your heart…whenever you want. Even if it’s for a brief moment as you pass it by. The cool thing is, you don’t have to turn something on to view it. Now that you’ve made up your mind to have this all important portrait done…what’s next? You can trust Cloud Photography. Here’s why. We begin with a consultation. Merely meeting up at a park, for the first time, and hoping for the best, just won’t cut it. That’s why we always get together to discuss ideas, the best clothing, and get a little idea of the family dynamic. We’ll even answer questions you haven’t even thought of asking. Small children involved? Pets? There are some very important things involved to make sure everything goes smoothly. We’ll put our 38 years of experience to work at the photo shoot. A camera alone will NOT take good family pictures which is why we’ll put our lighting skills to work. We make sure everyone in the group stands out, there is lighting in everyone’s eyes, and make the 2 dimensional image come alive and more 3 dimensional. We’ve had clients often say, “We look so real. Like we could walk right out of the portrait.” It’s because of our lighting folks…not the camera. We put our posing skills to work so that everyone will look their portrait best. You’ll never hear us say, “everyone go stand by that wall and look over here”. 🙂 We make sure you are positioned comfortably. Never awkward or looking like you’re in a police lineup. We all have different body types and we take this into consideration as well. If you have any concerns let us know. The right pose can do wonders for your appearance. Each and every portrait is fully retouched and art-worked to be sure your finished portrait is everything it can be. Blemishes are removed, wrinkles softened, stray hairs removed, eyes are enhanced and more It’s all included in your finished portrait. No additional charge. 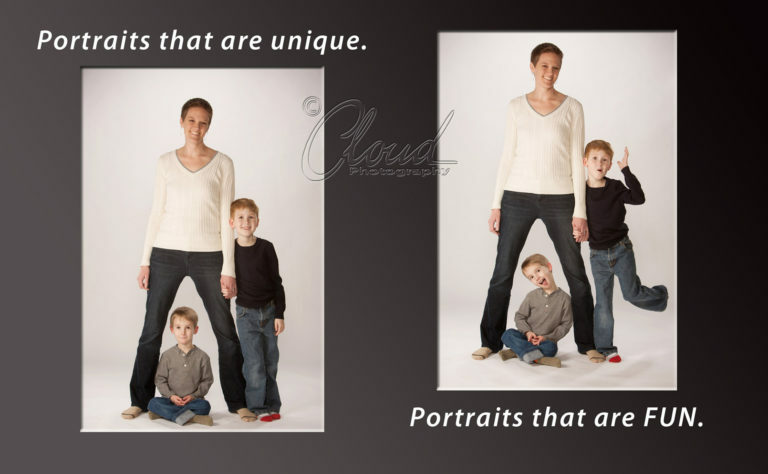 It’s everything you would expect from a truly professional family portrait photographer like Cloud. Your place or ours. 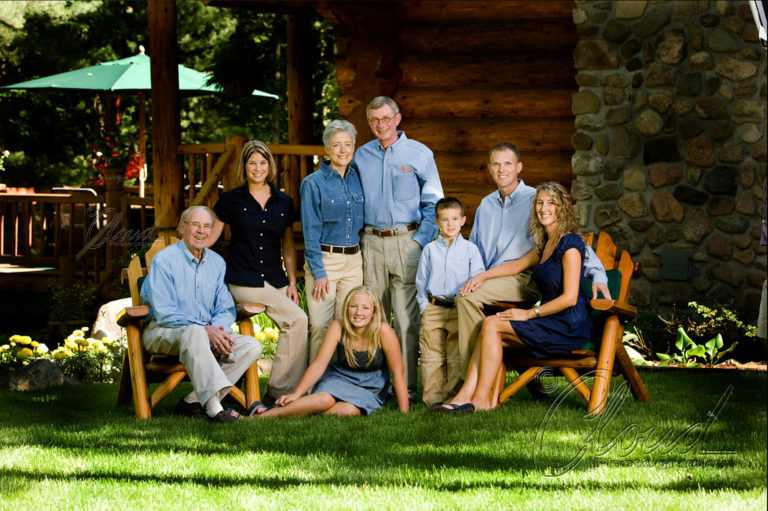 You can have your family picture made in our home studio if you have a small group. We can go to the park we often use. Want to have it made in or at your home? How about your cottage or other favorite place? Include something special that you do as a family together. Do you bike, have an antique auto you want included? On your boat? The possibilities are endless. (For what it’s worth, we find that Dads that don’t want to do this suddenly are up for it when we do things like this). 1. You just don’t seem to have the time. It takes all of 20 to 60 minutes depending on how involved you want to get. 2. I want to lose some weight first. A worthy goal. Take advantage of our weight loss guarantee. We’ll photograph the family now and when you loose the weight you want, we’ll replace your portrait with a new one once you’ve hit your goal. No charge. 3. It’s too expensive. Given that your portrait will out last your grandchildren, compare it to anything else you might buy. TV…5 yrs. Computer…3 yrs. and the list goes on. We can promise you after you’ve been enjoying your portrait five years from now you won’t even remember what you paid for it. You’ll just be really glad you have it. Here’s all you have to do next.